The Church celebrates the Triumph of the Cross on the 14th of September. 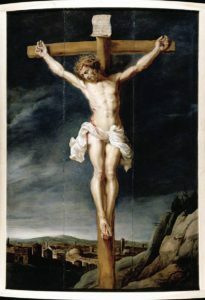 It is also called the Feast of the Exaltation of the Cross. It commemorates the recovery of the Holy Cross by St. Helena. Cross is not a sign of failure but of victory; not a sign of weakness but of strength. In Cross is our salvation. It may be a scandal and folly for unbelievers as St. Paul tells: “The language of the cross remains nonsense for those who are being lost. Yet for us who are being saved, it is the power of God. We proclaim a crucified Messiah…..Christ, the power of God and the wisdom of God. In reality, the foolishness of God is wiser than human wisdom and the weakness of God is stronger than human strength” (1 Cor. 1.18, 23-25). Let us rejoice in the Cross of Christ because the death of Christ on the cross brings us to the glory of the resurrection.